It is nearly upon us! Black Friday, the time of the year where prices on electronics and other items are slashed in a flurry of sales, comes at the end of this week – November 23rd 2018. Many retailers are already geared up, with their online stores showing the savings to come. But, as consumers, are you ready to get the best deals hitting the high streets? Originating in the United States, Black Friday is the day after their Thanksgiving holiday (the fourth Thursday in November). 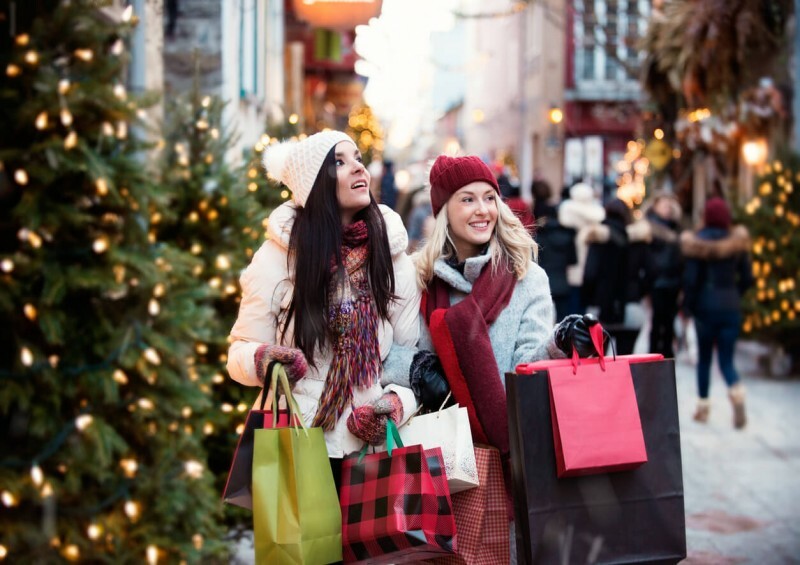 Since the 1980s, it has been a tradition over the pond for this day to mark the start of the Christmas shopping period and increasingly retailers heavily discounted their products for that weekend to drive sales for the coming month. Since 2005 the worldwide interest in Black Friday started, as American retailers began offering their same discounts online globally. It didn’t take long before countries like ours took up the trend and the excitement of Black Friday became an international phenomenon. History aside, Black Friday has become the centrepiece of a weekend (or even week) of manic buying, with hundreds of pounds taken off many items. Many savvy shoppers wait until Black Friday to make their yearly purchases of electronics, helping make it the busiest shopping day of the year for that sector. Whether its online (Cyber Monday), or being willing to queue outside physical stores, Black Friday causes excitement and even greed as people flock to see what deals can be had. What shops are worth looking at this Black Friday? The growth from consumer electronics into other sectors makes each year’s Black Friday more widespread than the last. This year sees supermarkets join in and cut prices on anything from pyjamas to boxes of Christmas chocolates! Nothing is going to stop the world-leading online store from enjoying their Black Friday. Stretching it beyond a simple weekend to a staggering 10-day spectacular, Amazon’s Black Friday has already begun – running from the 16th November through to the 25th. “Lightning Deals” is the buzzword for the year, offering a heavy discount on items for a short time with an online clock and limited stock - giving shoppers a reason to return regularly to Amazon’s site to see what’s on offer. With everything from toilet tissue to widescreen monitors in their sale, Amazon lead the pack when it comes to Black Friday. Jump to their page here. Another online store to begin Black Friday a week early, AO are one of the market leaders in supplying household appliances across the UK and if you are in the market for some new kitchen goods, should be high on your list. They’re not limited to the kitchen, however, and stock a range of cut-price electronics for everyone. Check out AO’s Black Friday deals here. This long-standing British store was in many ways the forerunner to the online shopping of the current generation. Pouring through the immense catalogue was, in itself, an enjoyable entertainment to while away the cold winter days. Now they have a website with a range to rival the best and will have Black Friday deals on everything from toys to TVs. Find your way to the Argos website here. Gearing up for a sale that starts on the 23rd this year, fashion retailer Asos is not to be left behind in everything Black Friday. Last year’s 20% discount on everything was a surefire hit for them, so expect something similar (if not better) this year! Asos can be found here. With discounts in store to match those available online, Boots are one of the high-street stores who have been shown to really embrace Black Friday. They offer discounts on almost everything in store, with hairdryers, perfume and skincare products all given the price-drop treatment. Staying with a purist’s position regarding Black Friday, their sale is waiting for the morning of the 23rd – keep an eye on it online here. When it comes to physical retailers, Currys PC World is a prime stop for anyone interested in getting the finest Black Friday deals. The electronic superstore has already begun lowering prices and the best is yet to come. If you are looking for electronics, the range available at Currys PC World on the high-street is second to none and the savings are likely to be considerable. Take a look at their early mark-downs here. One of the joys of a department store is finding so many products under a single roof – when it comes to Black Friday that means finding so many cut-price discounts under a single roof! Debenhams is holding Black Friday sales both online and in store, with their sale period beginning early on Tuesday 20th November. Their online deals can be found here. Consoles and video games have always been a central part of Black Friday discounts, and in 2018 that trend looks to continue. If you’ve held off buying any of the current technology, now could be the time to jump in with both hardware and software seeing substantial savings. Game have their official Black Friday starting on Thursday night at 6pm, but there’re already some tasters up for their ‘Early Black Friday Sale’! Go to their website here. Like rival Debenhams, John Lewis have that in-store and online range that makes them a potential single port of call for Friday’s mania. Currently, they are keeping quiet about the specific deals they plan to offer, but expect some impressive deals come Friday. It’s not all about single purchases. Sky are offering Black Friday deals on their subscriptions – some of which include a free 43” TV! While that may not be a traditional Black Friday deal on a television, it’s a very tempting alternative. Check out Sky here. Superdrug are another high-street retailer looking to make the most of Black Friday enthusiasm, with deals in-store and online across their range of products. Being a member helps too, with exclusive deals being offered to this select group in advance of the official commencement of the sale. Visit Superdrug’s website here. In anticipation of a staggering weekend of sales, Topshop offer a sign-up to allow you an extra edge in getting the best discounts from the clothes superstore. With an online presence to augment a solid high-street presence, Topshop are bound to be busy throughout the sale period. You can sign up now and be the first to know about their black Friday deals. The sign up form can be found here. Compare UK Quotes goes shopping! Getting out there and enjoying the buzz of Black Friday is as much an experience as the discounts themselves. While the level of frantic shoving that was shown to be part of Black Friday’s peak a decade or so ago is somewhat more muted these days, there’s still a joy to be found in the communal thrill of deal-finding. To get the best deals, make sure you take your phone with you to do a quick comparison between the offer you are seeing and those available online before you hand over your credit card. That way you could save even more – and isn’t that what this is all about? We’d love to hear about your personal Black Friday superdeals, so if you save simply incredible amounts on anything, let us know on our Facebook page!